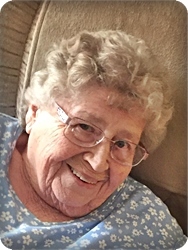 Nora Pauline Sullivan, age 90, of Byron Center, went to be with her Lord on Saturday January 19, 2019. 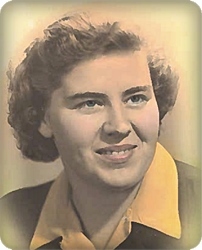 The daughter of George and Sarah (Felber) Sullivan, she was preceded in death by her siblings, George, Lyle, Gerald, Donald, and Howard Sullivan and Hazel (Bill) Tamminga. She is survived by her dear friend, Marilyn Mills; sisters-in-law, Jackie and Kathy Sullivan; 14 nieces and nephews and many great nieces and nephews. Nora was active all of her life, working at the Public Museum, Grand Rapids Brass, and eventually her own tax and accounting business to name just a few. An avid lover of nature, she spent much time in support of Pioneer girls and Brook Cherith camp, enjoying God’s beauty with travel and photography, and creating crafts of all kinds, especially knitting. Most importantly, she loved her Lord and family ensuring great memories for all. A memorial service will be held at 11:00 am on Saturday February 23 at Christ Church, 2500 Breton Rd SE, with Rev. Walter Lorenz officiating. Committal will be at the Christ Church Columbarium, weather permitting. Family will welcome visitors an hour before the service and during a luncheon to follow the service. Memorial contributions may be made to the Grand Rapids Home for Veterans, 3000 Monroe NE, Grand Rapids, MI 49505 or Christ Church, 2500 Breton Rd SE, Grand Rapids, MI 49546.